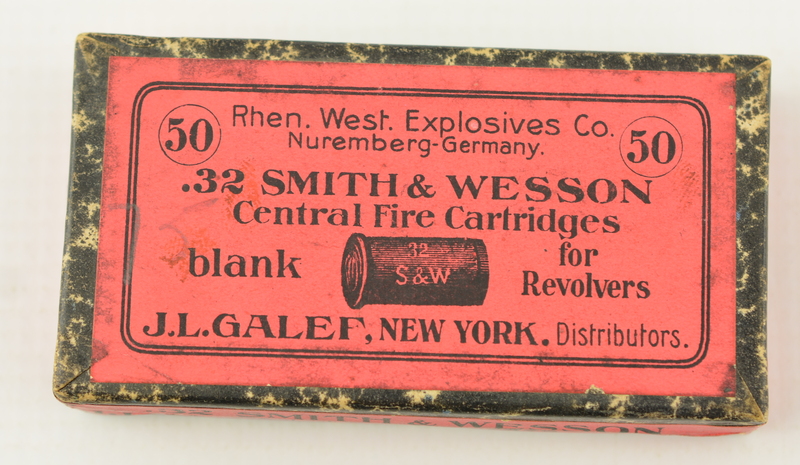 Description: Sealed box of German Rhen. 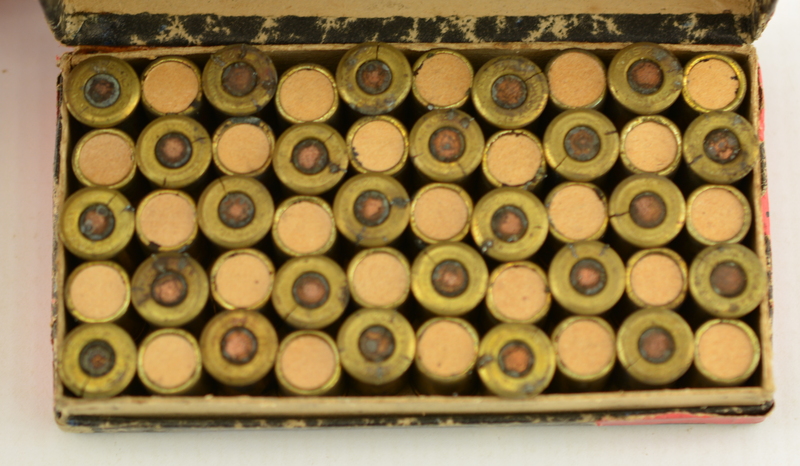 West explosive Co, blank .32 S&W Central Fire Cartridges. 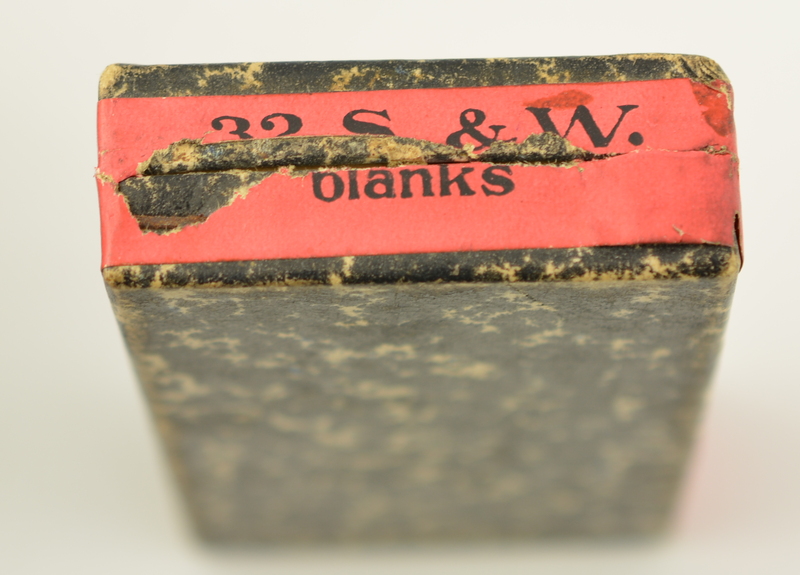 The sealed box shows an excellent pink label. 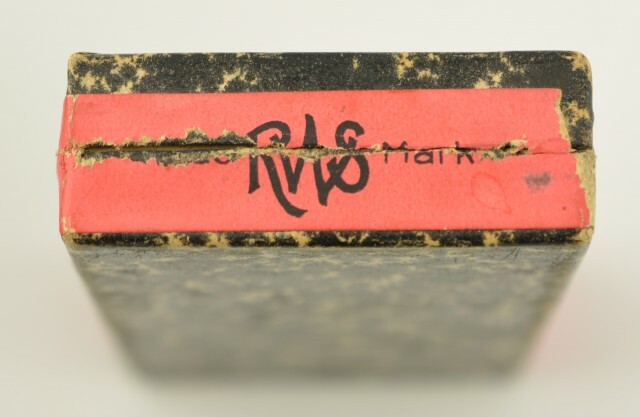 The front seal is intact and shows the name J.L. Galef New York distributors. The body of box is a marbel wall-paper. Excellent plus example.